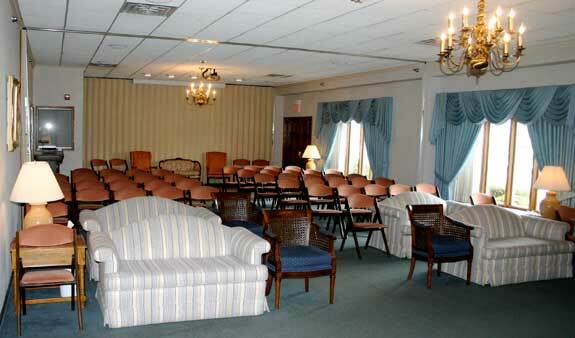 Ahlgrim Family Funeral Home is a full service funeral provider. We listen to the family that has witnessed a life first hand. We allow them to tell us how this life can best be celebrated. Instead of telling a family what we can do, we accept their wishes and organize all aspects of their event. This provides those closest the time to be home, inform friends and comfort relatives. Ground Burial: This is the most poplar type of disposition. Graves are purchased from the Cemetery directly. In a few circumstances the Funeral Home can purchase a grave for the family. Opening and Closing a grave is not usually included in the grave cost. Above Ground Burial: Commonly known as Entombment. This is where a casket is placed in a crypt (Single space) in a Mausoleum (The building housing the crypts). Cremation: If cremation is desired the Ahlgrim Family can still provide all necessary arrangements as needed. Viewing and Chapel or Church Services are available. A procession to a cemetery or committal can be performed after the cremation takes place. Shipping out of State: Our firm offers the family a choice of having their loved one driven to a funeral home out of state or directly to a cemetery. This option allows the confidence that a family member it never left alone and is cared for by a caring person from door to door. We also will use O’Hare Airport when transportation is needed out of the country or the family wishes rather then driving. Prearranged Funerals: For those wishing to think ahead, Ahlgrim Family Funeral Services offers an arrangements conference where all personal information and merchandise is selected and kept on file. When the death occurs a family may not have to see us until the day of the Services. Donation to Science: The Anatomical Gift Society receives the entire deceased for use in research and education. After approximately two years the deceased is cremated and the family may continue with services as they wish. Private Autopsy: Many families wish to look into the past, of a possible medical problem, for a glimpse into the future. Ahlgrim Family Funeral Service can provide this service upon request. This will be discrete and the findings easily read. Genealogy: Ahlgrim Family Funeral Services keep meticulous records for future generations of a family. Retrieving a Death Certificate from another state or tracking down a family member, we often can help. Merchandise Provider: For families that have private services out of town, the Ahlgrim Family can provide any incidentals like, Prayer Cards or Memorial Folders, a Register Book and Acknowledgement Cards (Thank You Cards). Education and information: Ahlgrim Family Funeral Services has been a source of education for movie, television and anyone who calls and inquires. We believe the Ahlgrim Family does not have to care for a deceased to service the family. Our directors are always happy to answer any question posed or direct you to an organization that is reputable and can be trusted.